I wrote an article for the Yoga Goodies blog. “If you’re the sort of yogi who goes to a lot of flow classes, you’ve potentially never used a yoga blanket. 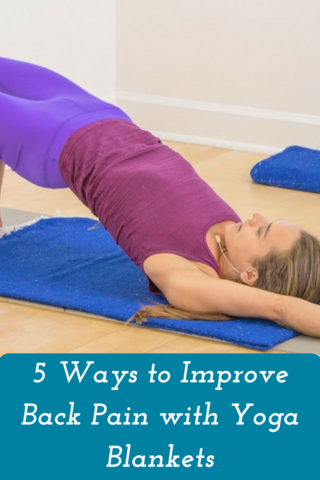 Maybe you’ve reached the point where you’d like to try yoga for more stress relieving purposes, or you’ve been struggling with some back pain. Props like yoga blankets, help you as you slow down and go deeper in your practice and help you stay out of pain by customizing the amount of stretch you’re getting. To read the full post and find ways to reduce back pain with yoga blankets, visit the Yoga Goodies website HERE. Restorative Postures for Lupus Flares HERE. Yoga for Arthritic Hands HERE.